Turn that one huge pile of clothes into several smaller bunches of must-haves, with clothes from Core by JSI - a sustainable fashion brand, that has a minimalist aesthetic. If you've joined the slow fashion bandwagon, you will absolutely love Core by JSI. Barely a month old, the boutique at Leela Palace is a joint venture by mother-daughter duo Jyoti Sachdev Iyer and Sayesha Sachdeva, and reflects their minimalist approach to fashion. 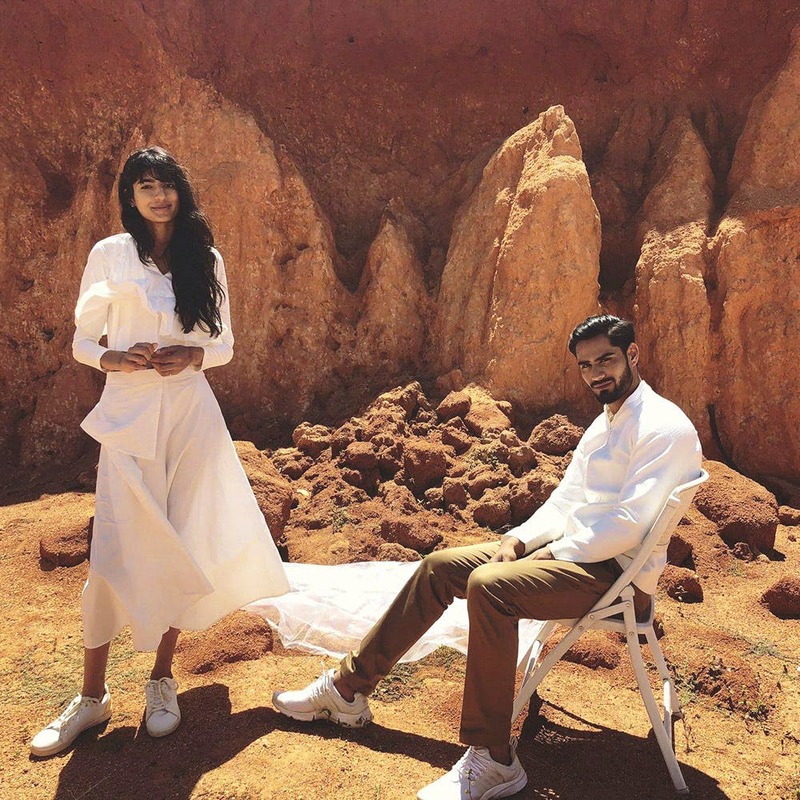 Featuring a collection of striking, yet understated clothes, the brand offers slow fashion everyday options without them being anti-fit or available only in cotton or linen (thank God!). What we loved most was that every fabric is created with natural fibres, so you'll find chic pieces made out of eucalyptus, rose petal, aloe vera, and even banana (with cotton as a binder). Focusing mostly on solids (white, orange, brown and blue for now), their current collection is easy breezy and perfect for the summer. The styles change seasonally, so you don't have to worry about accidentally twinning with someone. Largely designed to function as regular work wear, we spotted a pinstriped suit (made with eco-friendly, vegan dyes), a cinch-waist top, lovely dresses, and shirts and trousers for men made out of recycled cotton. What's striking is that none of the clothes have any embellishments or embroidery on them. Instead, they're all about linear cuts and innovative styles. And while one can hardly put 'slow fashion' and 'affordable' in the same sentence (because it takes a lot of time and resources to make an eco-friendly product), Core prices its products moderately (starting from INR 3,000), which we think is worth it for that quality. They will be starting a website soon, so keep a lookout on their social media to stay updated.